What If the Edmonton Oilers Win Draft Lottery... Again? What If the Oilers Win Draft Lottery… Again? Imagine what the hockey world will think if sometime after 6 pm Mountain and 8 pm Eastern Time on Tuesday, the Edmonton Oilers are announced as the winners of this year’s NHL Draft Lottery. Fans in Edmonton will be ecstatic. The rest of the world will call foul. In fact, it’s hard to even comprehend the anger and conspiracy theories that will flood the Internet and social media if the lottery card is turned over revealing the Oilers logo in gold on it. Yet, if one were to go to any Draft Lottery simulator, it won’t take long to realize the Oilers have a pretty good chance of being the team on that card. With a 6.5% chance of winning the first-overall pick, I tried my hand at it and while the New York Rangers won it the first time, and Los Angeles the second, it took me only three spins to see the Oilers on top. 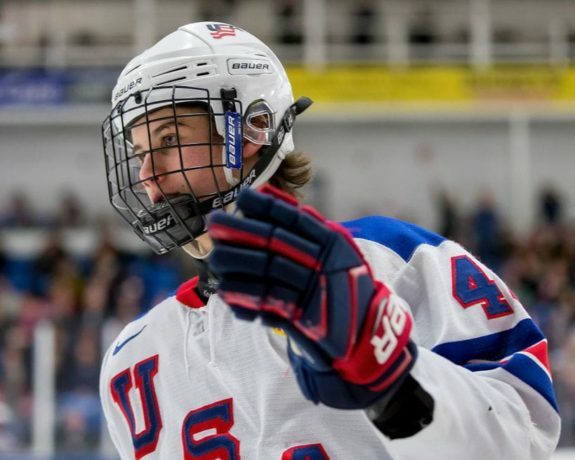 If that happens, Edmonton will draft Jack Hughes. Should the Oilers be that lucky, Hughes will certainly change the fate of the underperforming Oilers overnight. No wonder the hockey world is choked. Hughes may not be the next McDavid, but it’s arguable he’s the best draft pick to be available since McDavid was drafted. A one-two punch of McDavid and Hughes leading the Oilers for the next seven seasons is just scary for the rest of the NHL. Add to that, Edmonton found out this season they have a 100-plus point forward in Leon Draisaitl and a 40-50 point d-man in Darnell Nurse which means fortunes in Edmonton could turn quickly. Again, in the defense of many who believe Edmonton shouldn’t even be in this lottery conversation, they have a point. The Oilers have had plenty of opportunities to turn their fortunes around with high-end draft picks and blew it. Those same people undoubtedly believe the Oilers would ruin any future opportunities if they got their hands on a player like Hughes. But Really, Why So Angry NHL? Just the idea that the Oilers have a chance of winning has some people talking today. 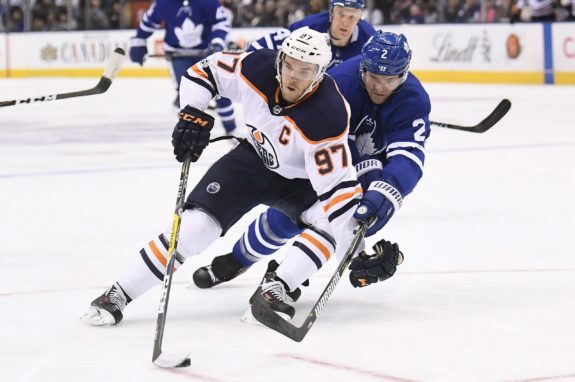 Having won lotteries in the past and getting to pick first overall for a number of years, the rules surrounding draft lottery odds only significantly changed after the Oilers won the right to select Connor McDavid. Every year since the odds of selecting first with the worst season has gone down. So too, with every season, the odds of selecting first when your record isn’t nearly as bad goes up. In the defense of those who are a bit choked the Oilers are even in the conversation, the rule changes have certainly worked out in Edmonton’s benefit. This season, the Oilers finished 24th in the NHL standings. That they even have a chance of winning the top selection irks people. Kaapo Kakko. In most other years, he’s an easy first-overall selection. All fans who don’t cheer for the Oilers need to remember is this… as much as Edmonton has a chance to move up and draft at the No. 1 or No. 2 spot at this year’s coming NHL Entry Draft, another team could sneak in there and bump the Oilers out of the seven spot, down to as low as No. 10. Bob Nicholson and Keith Gretzky will be in the room watching intently, with their lucky ties and socks on in the hopes that won’t happen.